Since its inception in 2009, Twig has developed a strong international presence. Teachers and students in 60 countries around the world are using Twig products to enhance learning. With Twig content available in 20 languages, students across the globe have access to a wealth of tailored video learning content and support localised to meet linguistic, cultural and curriculum requirements. What Twig multilingual content is available to you will depend on your school’s location, however, schools in any country will soon be able to purchase Twig content in Spanish, Portuguese, Mandarin, Arabic and Russian. Please contact us for further updates and to register your interest. The International Baccalaureate (IB) for Science, Maths and Social Studies; IGCSE for Combined Science, Double Science, Maths and Social Studies; Singapore Ministry of Education Standards for Science, Maths and Social Studies; Indian CISCE Maths; Indian CBSE Maths and Science; Australian Curriculum (ACARA) Standards for Science and Maths; U.S. National Standards, Science, Maths and Social Studies; U.S Common Core State Standards, Math and Basic Education Core Curriculum Thailand. 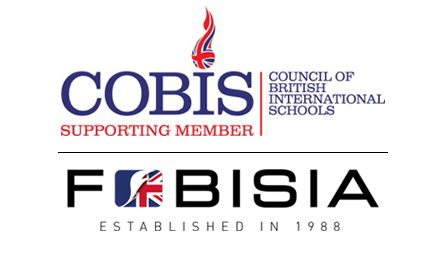 Twig Education is pleased to be a Supporting Member and trusted resource provider to the Council of British International Schools (COBIS) and an Affiliate Member of the Federation of British Schools in Asia (FOBISIA).